My friend and student Cindy, who comes to our studio Project: Yoga religiously, has been showering me with fresh items from her garden all summer. 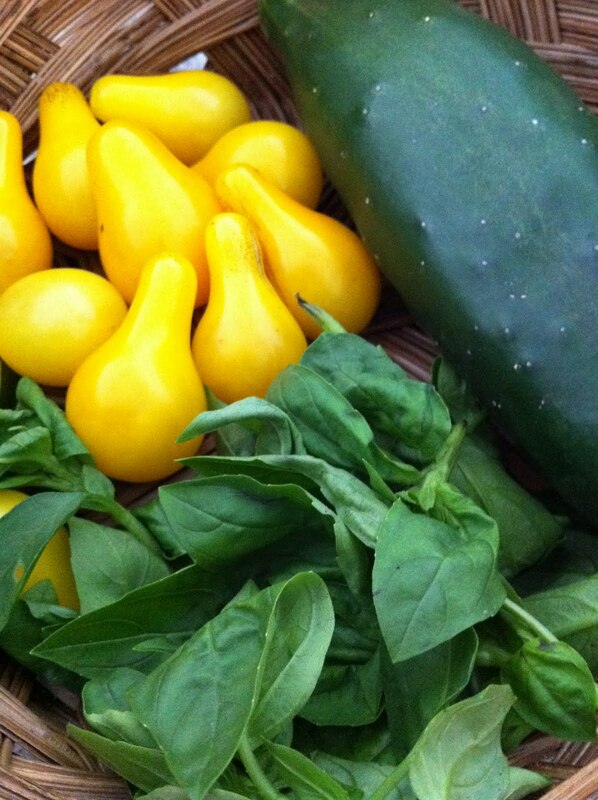 Today, she brought me this beautiful basket of fresh basil, gorgeous, sweet and juicy yellow tomatoes, and a perfect cucumber. I thought I would challenge myself like on the show Chopped and see what I could create based on what I had in the house. Here it is! I was eating the basil aioli straight (so was Luke)! Cut the tempeh in half, half again, and then half again. Place in a pan with sides and cover with tamari and apple juice. Mix around, turn the pieces over, and then cook on medium heat while you prepare everything else. Heat the tortillas in a 300 oven for a few minutes. Cut up the cucumbers into rounds, shred the carrot, and halve the tomatoes. Place the basil, veganaise, lemon juice, and garlic powder in the processor and process until the basil is chopped up. Place the tortilla on the plate. 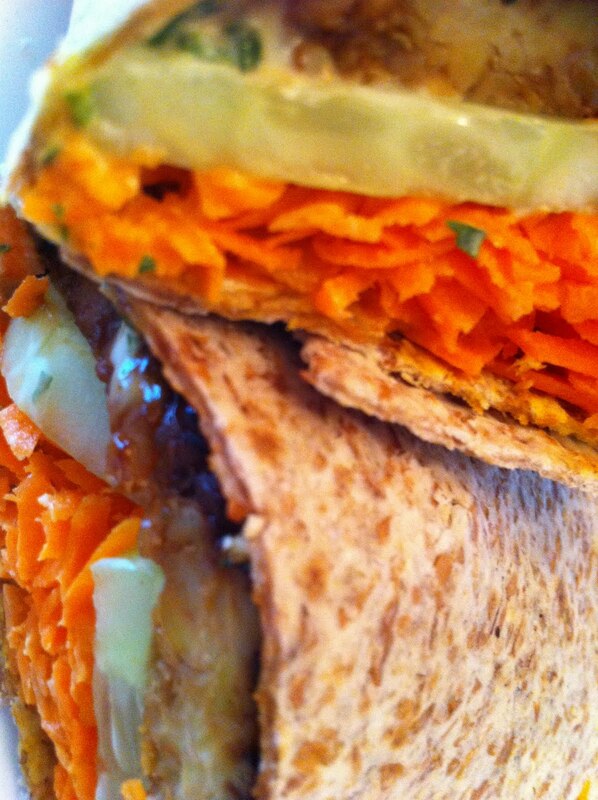 Spread a generous layer of basil aioli and then top with tempeh, cucumbers, tomatoes, and shredded carrots. 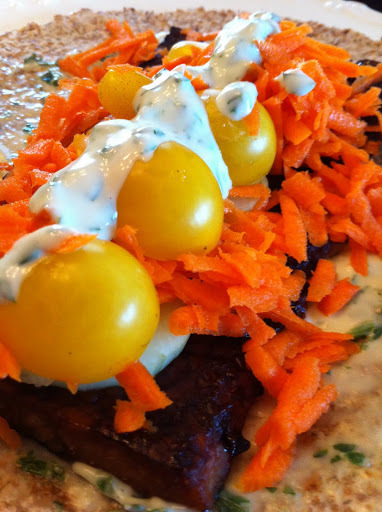 Top with more basil aioli. Roll it up and cut in half. Eat and enjoy!